Hand cream used to be something I never really thought about, it was something your mum used and made your hands all sticky....Fast forward to be a grown up and hand cream is a product I use on a regular basis and even more so come Autumn and into Winter, the weather gets cooler, our homes are centrally heated and that equals dry skin. 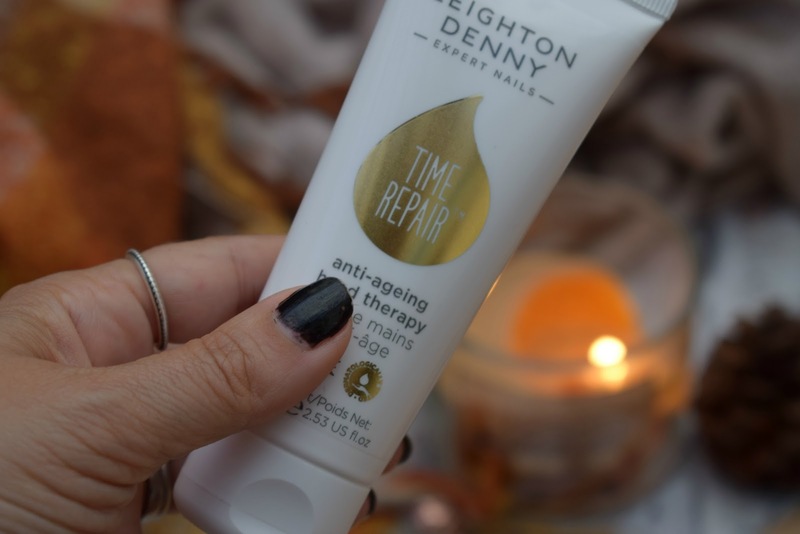 What interested me about Leighton Denny's Time Repair anti - ageing hand therapy* is it works not only on hands but nails to, so it's a double whammy a cream that treats two problems at the same time, I'm all about that life. The Time repair hand therapy not only makes your hands really soft with no sign of stickiness insight it also helps to treat and repair ridges in your nails. This cream contains all the good stuff, from Argan oil, hyaluronic acid and vitamin E, it also smells pretty good to, which is probably down to the cocoa and shea butter, and the sweet almond, plum and avocado oil, this cream really packs a punch when it comes to nourishing ingredients, and that shows, my hands feel so soft and they look more hydrated, kinda smoother looking. 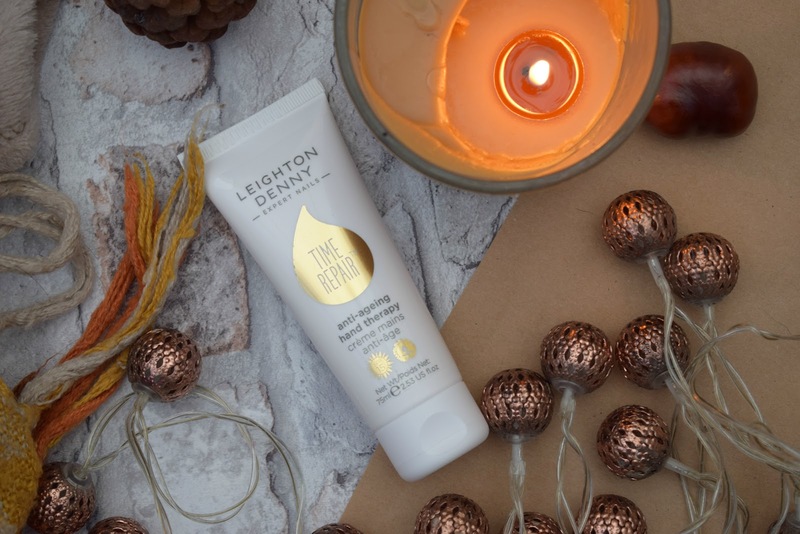 As you may be able to tell, I really like this hand cream and highly recommend giving it a whirl, if you are looking for a new hand cream to try. 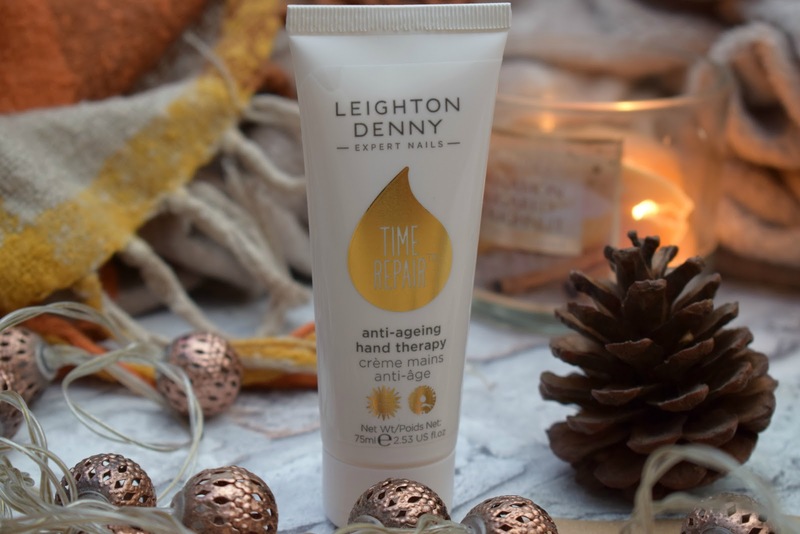 The Leighton Denny anti aging hand therapy is available from Leighton Denny for £14 for 75ml.